Send mom your love this year through a beautiful bouquet of her favorite flowers. Mother's Day is your time to show mom just how much you appreciate her and everything she has done. Let Pink Pussycat Flower and Gift Shop help you say "Thinking of you, mom" and "I love you always" with flowers -- no matter if you live here in Plantation, or across the country. Simply click any of the beautiful Mother's Day flower arrangements above to order online! Sometimes the best way to show your boss just how much you appreciate their fine leadership is by sending flowers. With a National Boss Day gift of flowers from Pink Pussycat Flower and Gift Shop, your boss will know exactly how you feel. Everyone wants a raise. 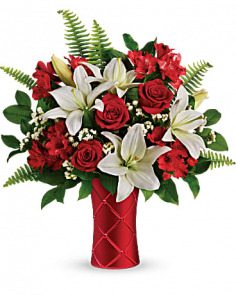 Raise your boss's spirits this Boss Day with one of the many colorful flower arrangements from Pink Pussycat Flower and Gift Shop in Plantation, FL. Halloween brings out the kid (and 'spook') in all of us with jack-o'-lanterns, trick-or-treating, and lots of Halloween activities to enjoy. Your local florist, Pink Pussycat Flower and Gift Shop of Plantation, is a great place to start for creative suggestions on Halloween flowers, party decorations, and haunted houses. Let us suggest some Halloween party flower ideas for kids, and maybe even a few tips grownup 'ghouls' will like too! Give your Halloween festivities a 'frightfully' fantastic look and feel with colorful flowers and fun Halloween floral decor from Pink Pussycat Flower and Gift Shop.